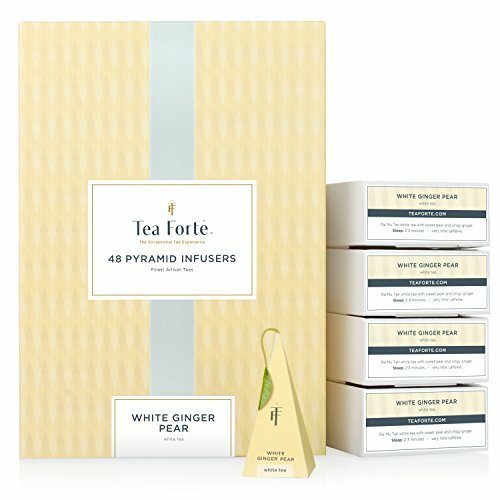 Located in Concord, MA., Tea Forté was founded in 2003 by Peter Hewitt, an American product designer who wanted to create highly stylized products inspired by the Japanese tea ceremony. They offer what he calls the ultimate tea experience, with luxury products sold at high-end retailers, hotels, restaurants and spas all over the world. Dedicated to produce the definitive expression of every type of tea, this company works directly with growers who share the same dedication, with their ingredients representing less than 1% of all the teas currently available in the world. 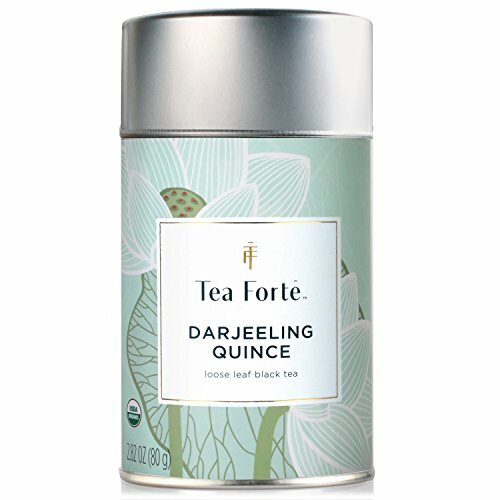 For Tea Forté, creating without compromise means diverse and subtle flavors sourced from over 35 countries, resulting in products that are exclusive and exotic, while also offering a wellness line and beautiful, themed collections. Their Blueberry Merlot won the award for best ‘Flavored Herbal Blends’ in 2011 from the North American Tea Championship and their Lemon Sorbetti received a silver finalist SOFI award for ‘Best Hot Beverage’ in 2012. Tea Forté strives to source organic botanicals where possible and are proud to champion and support their artisan tea producers, family-owned gardens and small estates. This company offers a line of premium USDA Organic certified teas as well as Fair Trade Certified blends. An organic wellness collection on offer called Sipscriptions™ includes teas and herbal blends crafted from choice botanicals in small batches, ensuring their unique and beneficial qualities. They also provide other collections based on specific characteristics, such as their Bleu line that includes natural and sustainably sourced, caffeine-free teas infused by Butterfly Pea flowers, which give the blends a vibrant blue color. Their Chakra collection showcases organic Masala Chai, while their Dolce Vita collection is a selection of five organic dessert teas. This tea company has other collections available, such as Herbal Retreat, Lotus, Matcha and Noir, making them beautiful gifts as well as for those moments when you desire a touch of luxury. This USDA Organic certified, loose-leaf tea is sourced from South Africa, infusing rooibos with rose and naturally sweet elderberries and blueberries. Smooth and caffeine-free, this tea is rich and a little tart with an aftertaste of vanilla. 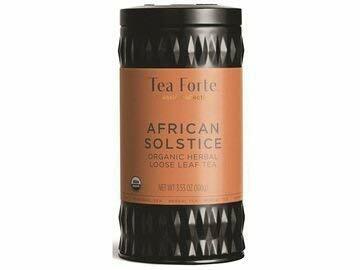 Great for any occasion, African Solstice tea can be enjoyed with or without milk and sweeteners. BLACK TEA are robust and full-bodied. An organic, loose-leaf black tea blended with quince, hibiscus and natural citrus flavors to create an exotic tea that is delicately brisk with high floral aromatics. Its bold, red color is brought on by the quince as well as rosehips and pink grapefruit, making it a beautiful cup for all the senses. Pai MuTan white tea is blended with sweet pear and spicy ginger, creating a delicate beverage enhanced by the flavors of lemon balm and licorice root. Originating from the most famous tea region in China, this tea is smooth and crisp at the same time. Blackberry leaves and mallow flowers round off this flavorful and fruity tea. Tea Forté might appear to be a mainly design-focused tea company, but their products have gained much attention over the short span of their existence, due to the exclusivity and quality of their various blends and accessories. With gift sets, handcrafted tea wares and canisters, this company is one to go to if you’re hankering for something special.